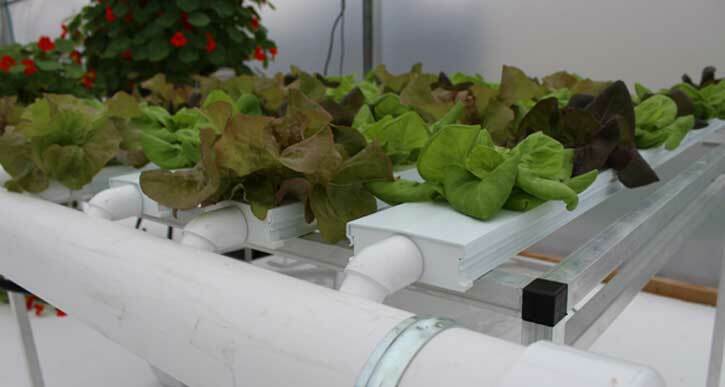 This hydroponic leafy green system is a great starter system for those interested in commercial hydroponic lettuce production because it allows growers to test their market for greenhouse lettuce, leafy greens, and herbs. The 10-36 system can also be a great way for those already involved in greenhouse or hydroponic vine crop production to expand their crop selection for customers. The CS NFT 10-36 is the perfect way to learn the fertility and crop management practices critical to hydroponic lettuce and leafy greenh production. This system is completely enclosed to minimize algae growth with removable top covers on every channel for easy cleaning.System measures 10-1/2 x 26-3/4 feet.